Subscriptions have FREE U.S. Domestic shipping & $15 Worldwide! To connect with the 5th Chakra referred to as the Throat Chakra. 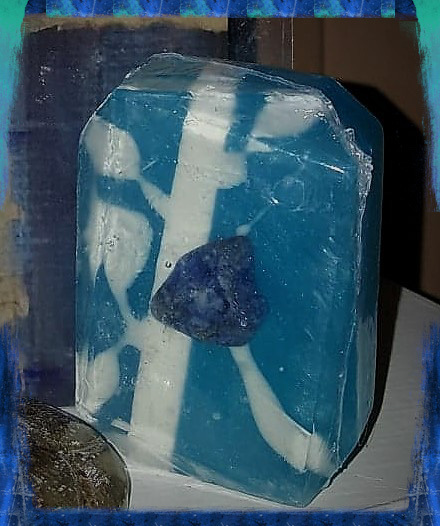 Blended with Eucalyptus and Sage essential oil, creating an earthy aroma with sweet undertones, use this soap to help create a refreshing environment to enhance clarity.